Creator of the internationally acclaimed entertainment and fashion site alexisjoyvipaccess.com who has interviewed a variety of actors and actresses, musicians, singers, bands and DJs as a celebrity news correspondent. At an early age, she was awarded with the Outstanding Achievement In Writing Award which sparked her interest in journalism and interviewing. She guest-blogged for J-14 Magazine and Popstar! Magazine. She is a world traveler and became the editor-in-chief at her school's newspaper club as well as a member of her school's morning show. 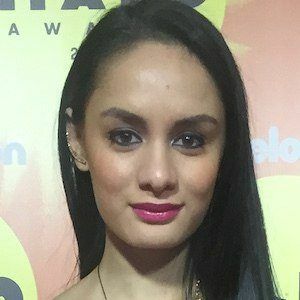 She has covered many prestigious and renowned events including the Nickelodeon Kids' Choice Awards, Vidcon, LA Fashion Week, the Young Artist Awards and many more. 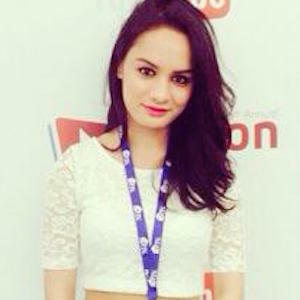 She is also part of the AwesomenessTV Network. She was born in New York. She has interviewed many celebrities including Nick Cannon, The Vamps, Cody Simpson and more.